I just wanted to update everyone on our newest fund raiser. We have launched our biggest fund raiser to date to raisefunding to support our club's mission and goals. Please share our posts/emails with friends and family to help us reach as many people as possible so we may be able to raise the funds needed to continue putting smiles on the faces of our special friends. 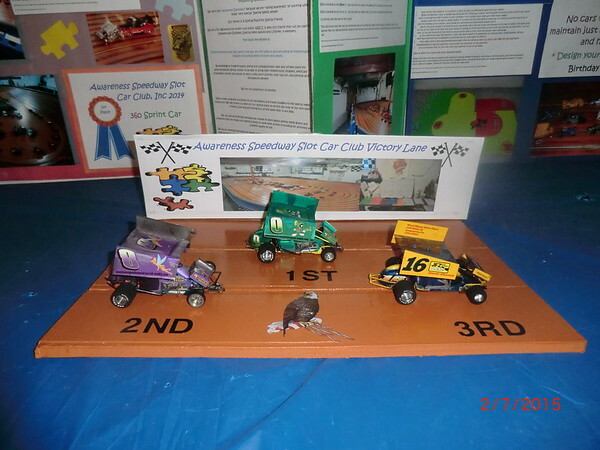 Awareness Speedway Slot Car Club is dedicated to continue on with our mission and goals. We have been asked why we don't post pictures of our special friend weekly activities. We are bound by privacy rules for each group that comes to use our facility. We will be doing a new video of our program with one of our special friends to show how our safety and educational programs work including how we operate our special friends track time. We just introduced a new challenge for our special friends. This challenge is 1 hr lap total records for each lane this challenges our special friends to keep the cars on the track and set goal to beat the record for their lane. This will challenge them to use mathematical skills to keep track of their laps and how many they need to get the record for that lanes lap total. 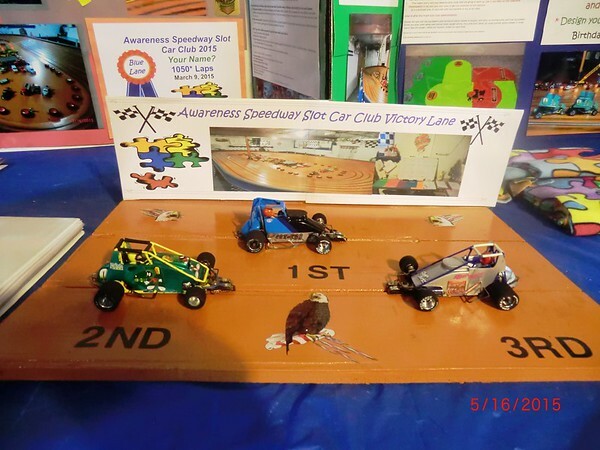 Awareness Speedway Slot Car Club Testimonials. It was such a happy day when we were introduced to your program. The four gentlemen of Lisburn Group Home all have serious handicaps that prevent them from ever being able to make the split second decisions needed to drive a car and absorb the driving laws of the State of Pennsylvania. They are all very big NASCAR fans and have a driving passion to watch the races on television. Finding your program gave them an outlet for their dreams and was an empowerment for them. It was love at first green light with the GO! They get a tremendous amount of joy visiting your program as it makes them feel like they are driving. The Lisburn Group Home used to be a co-ed facility in 2007 we switched to an all male facility. The gentlemen of Lisburn were used to being the alpha male and center of attention in their family homes. They had a tremendous amount of difficulty adapting to having to share the attention of staffing, waiting their turn, communicating without violence and socializing appropriately. Your program was a bonus that it allowed them an opportunity to be competitive with each other, it allowed someone to win, challenge and be aggressive in a healthy and acceptable manner. They felt just like their heroes of NASCAR. Your program created social opportunities for them to be real men, just another guy racing against “normal” gentlemen such as yourself and my male staffing. You were all on even terms. It was an amazing opportunity in a world that focuses so much negative on disabilities. It gave them a chance to exercise their communication and socialization skills with a small group setting. They were still sharing with others, they practiced their manners, they had positive interaction and they had an opportunity to resolve some of their problems and conflicts and build problem solving skills. Along with those skills they also learned to develop a bond of trust and stability. These gentlemen come from a field where people go in and out their doors so frequently that they no sooner get attached than their staffing moves on. It is a difficult position for them and having the stability you and your wife provided was a huge emotional plus for them. My gentleman who is legally blind in one eye and uses a walker was learning how to use his eye hand coordination to keep the car on the track and watch it as it flew around the turns. He was also working his gross and fine motor skills squeezing the trigger to propel and adjust the speed of the car. For my bi-polar gentleman it was an opportunity to learn about his feelings of excitement when the car is cruising along well, the frustration of having it fly off the track or lose speed and crash. He had a lot of exhilaration when he managed to race it faster than the other cars. He was learning to label his feelings, accept how they felt, and it was an opportunity to have a positive release of all those feelings he doesn’t truly understand. Just releasing the normal masculine tension is very helpful for him. My gentlemen who has kinesthetic disorder was finding it acceptable to have to wait his turn, wait until the roadway was clear, accept when he could not be the number one driver, etc. My autistic gentleman was thrilled with spending time with you and your wife and bonding to your attention. You have both been so very gracious and kindhearted to him and that means more to him than every dollar he has in the world. 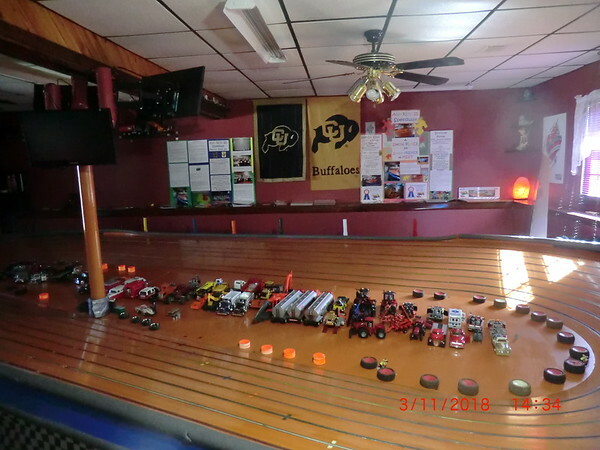 Your slot car racing was a terrific hobby and a phenomenal, exciting mix of a wide variety of recreational and leisure skill building for this group of gentlemen of assorted ages. The fact that you have worked so hard to keep it an inexpensive activity that they could afford was an amazing positive. It also helped them with working their financial skills as they paid for the time they used the track and adjusted their cash boxes here at the group home accordingly. This house manager knows how hard you have worked to establish your charity the last several years. We also hope to eventually bring more of our UCP residents and friends to your racing club. It would give them more opportunities to make friends with the CPARC group that you had become involved with. the goal to purchasing a 'faster' car. We are so thankful for this opportunity to assist Matthew in his learning maturity process. We just added a paypal donation buttons to our web site for those people who don't have way pay. 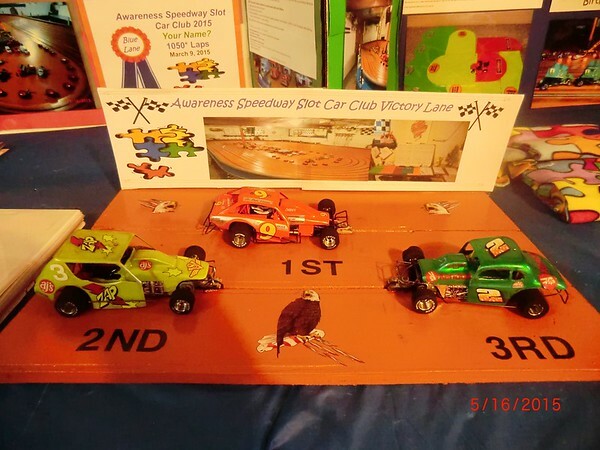 Awareness Speedway Slot Car Club's fund raiser is still going on. Your donation as small as $1.00 will make a difference. All donations are greatly appreciated. 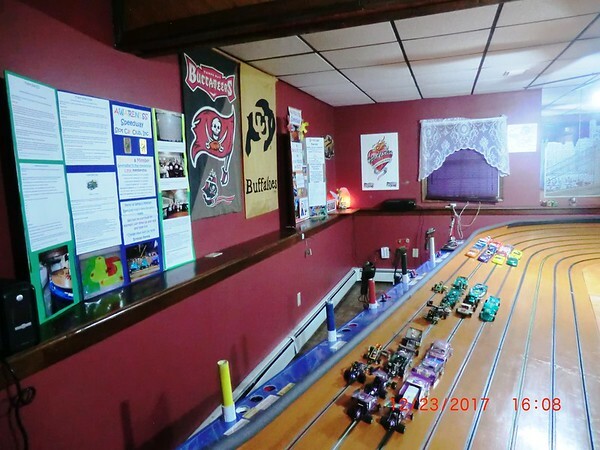 We nominate all of our 446 Facebook friends and friends of friends, Slot car enthusiasts, Racing enthusiasts, Friends and Friends of friends to contribute $5.00. We would be well on our way to raising the funds we need to help Matthew, Dallas, Rick, Keith, Joe, Danniel, Kevin, Joe, Rick K, Paulie, Xaivier. This money will help us expand our educational and safety program that is geared for the intellectually disabled and special needs clients. Your donation to our club will greatly support a one of a kind; groundbreaking special needs club. 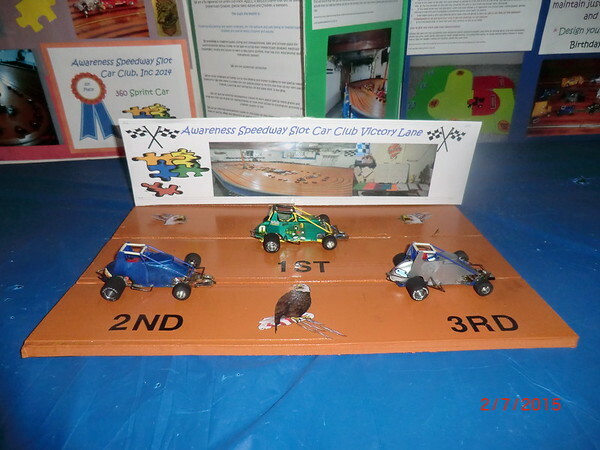 When we obtain our 501 (c) 3 charity status we will be the only registered special needs slot car club in the world!!! Please SHARE our posts/emails with friends, family and co workers to help us reach as many people as possible so we may be able to raise the funds needed to continue putting smiles on the faces of our special friends. Awareness Speedway Slot Car Club would like to thank the following racers who supported our fund raising race today August 9th. Justin Good, Geoff Shenk, Fred Shenk( first race ), Don Wike ( first race), Chris Stover. Our next race will be Sunday August 24 th with doors opening at.11:45am. Cheriel and Rodney raced with the racers today for fun and not laps. We are still seeking a individual or group that would be able to donate time to produce and edit a promotional video for our club. Last edited by parocket; 03-03-2015, 07:32 AM. Last edited by parocket; 03-03-2015, 07:33 AM. 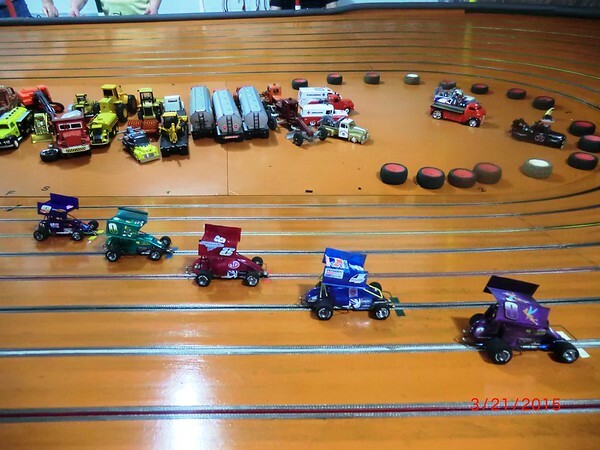 Awareness Speedway Slot Car Club would like to advise everyone that we are now officially a 501. (c)3 charity. I just received the determination letter from the I.R.S. 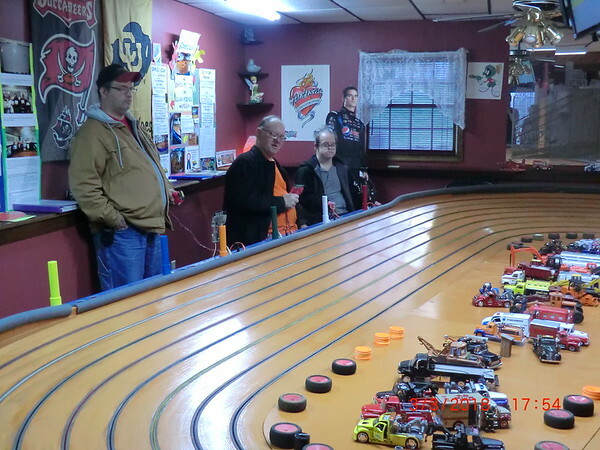 We are now the only slot car club in the USA that is an official 501. (c)3 charity designated for intellectually disabled and special needs adults and children. This designation makes all donations eligible for a tax deduction when filing your yearly tax returns. We would like to thank everyone who is supporting us on our journey.. Our next goal is to raise the funds necessary to move our track to a public setting that will enable more of our special friends to have greater access to our track and exciting educational and safety programs . Our new 501. (c)3 status makes all of our fund raising racers entry donations this year and future entry donations a tax deduction for the year. 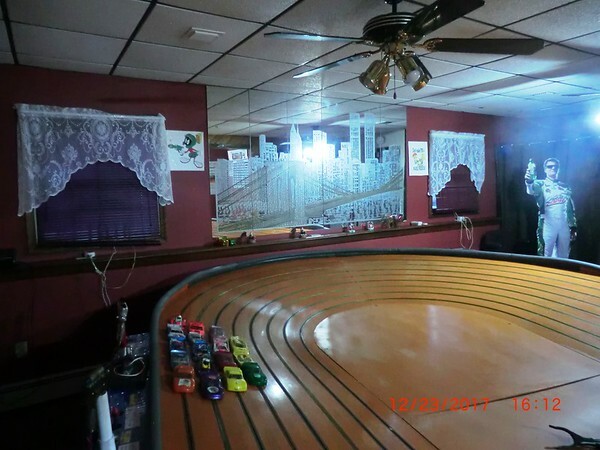 Happy Holidays from Awareness Speedway Slot Car Club! We became a 501. (c) 3 charityin October which now makes all donations, memberships, sponsorships an eligible tax deduction. ASSCC is in the process of having an updated video of our programs. This video should be done in early 2015. Why this is so exciting is for people who like to watch “live-action racing” plus it gives people a better picture of what kinds of programs we offer! Starting January 1, 2015 we are bringing back our memberships to help raise the funds needed to achieve our future goals. Please wait until January 1st or after to obtain your 2015 membership. Please go to our web site to read our goals and three types of memberships. Membership sponsors are needed to cover the cost of memberships for some of our special friends groups who have no funds allotted to pay for a group/home membership. The exciting part of being a Membership Sponsor is that you receive FREE advertising which help you grow your business, plus it will be a great tax deduction! We have been growing slowly as a club and have partnered with UCP Adult Group Homes, CPARC, The Autism Society - Greater Harrisburg Area Chapter to connect to families and local adult services. The only time the public is invited is when we have our fund raising races at our track or a private date is scheduled to have fun. Our educational and safety programs are tailored for the intellectually disabled and special needs adults and children. These programs are available to our special friends and members. ASSCC Really needs your help in raising the funds to achieve our goals and expanding our programs to reach more people. To donate please visit our donation page on our website. Last edited by parocket; 11-30-2014, 01:40 PM. ASSCC would like to remind everyone about our memberships that are available at our February 7thRace. for our club for this year. Memberships are one of our fund raising tools that is possibly a tax deduction for you like all donations including racing donations. Our memberships are listed below with the various types we offer. We are not going to institute our pay to play program till we relocate the club to a commercial location. _____Individual General membership - $10.00donation. ______Couple General Membership - $15.00 donation. _____Family General membership -up to six family members -$30.00 donation or $3.00 per person after 6 members. The donation for Saturday is $20 for members for six classes or $6 per class entered for non members. The donation for Sunday's is $15 for members for all five classes or $5per class entered for non members. Our 501. 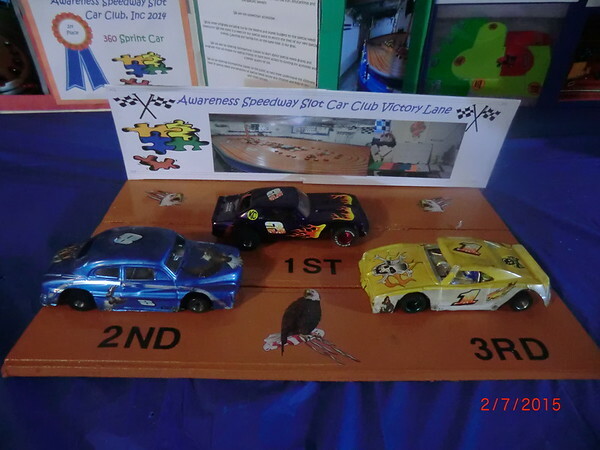 (c)3 status makes all of our fund raising racers entry donations this year and future entry donations a tax deduction for the year. To obtain a membership just follow the link below and when you pay just add in the comment section your membership type you would like. 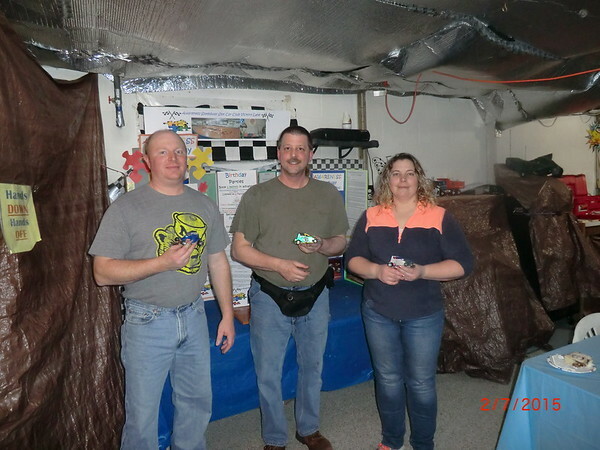 ASSCC had our first fund raising race of 2015 last night 2-7-2015 and it was a blast to be here racing and supporting our club and its mission. The biggest surprise last night was we have a racer that has only raced four times in her life and was setting track records and running for the win in a couple classes. Great Job Michele!!!! ASSCC discussed with our racers last night and contacted our other racers/donors with e-mail about how to make our racing fund raiser racing better and attract more racers to support our clubs mission and we have come up with some changes. ASSCC is changing our Sunday racing program starting in March to Saturday Nights. 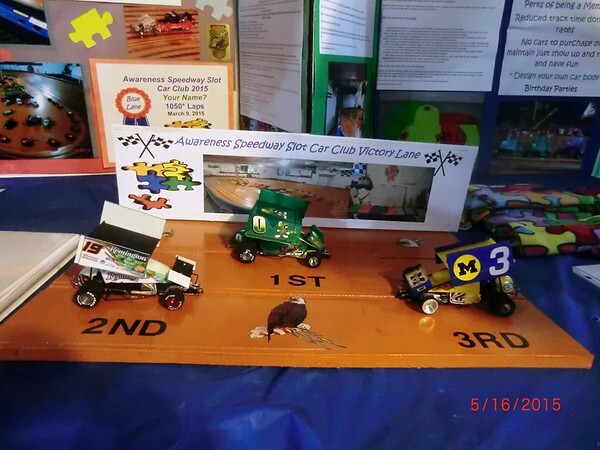 ASSCC has made some changes to the classes of cars raced to both Saturday morning and night’s and added incentives to bring new experienced racers to our fund raising races and supporting our club. Please read below for race results or visit our Facebook page or web site for our new schedule and racer incentive program. ASSCC racing is very close due to we run a little slower motor in some classes that puts the driver back into the race results not the motor. If you crash it’s real hard to make up your lost laps due to the cars all being so close on lap times. 5th Rodney Stuber 233 switched cars. Check out the track records!!!!! ASSCC’s new schedule is posted below and on all of our web sites. ASSCC would like to remind everyone about our memberships that are available at our February 15th race for our club for 2015 or anytime at the link below. Memberships are one of our major fund raising tools that are possibly a tax deduction for you. Like all other donations that we receive. 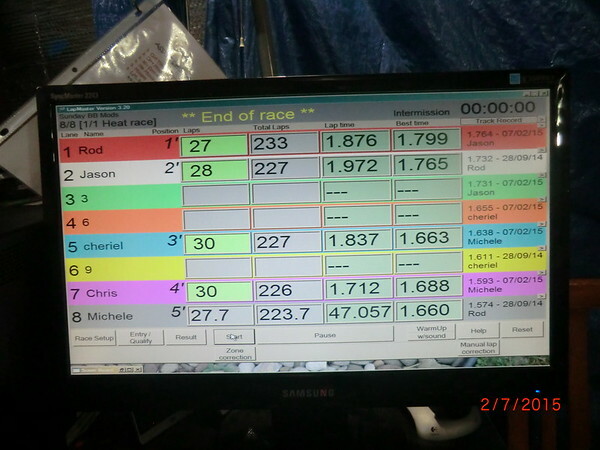 ASSCC discussed with our racers on 2-7-2015 and we contacted our other racers/donors with e-mail about how to make our racing fund raiser racing better and attract more racers to support our clubs mission and we have come up with some changes. ASSCC is changing our Sunday racing program starting in March to Saturday Nights. 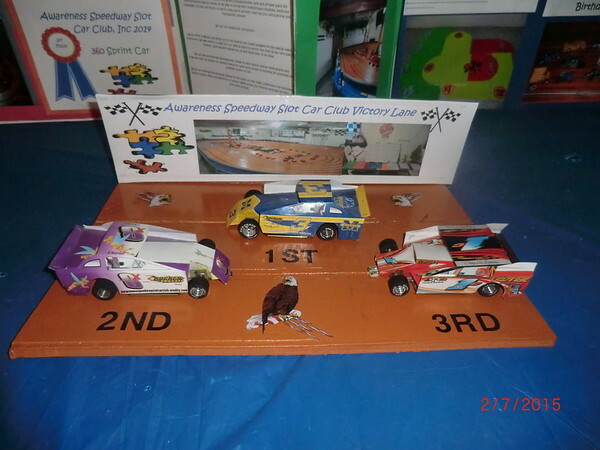 ASSCC has made some changes to the classes of cars raced to both Saturday morning and night’s and added incentives to bring new experienced racers to our fund raising races and supporting our club. Our memberships are listed below with the various types we offer. We are not going to institute our pay to play program till we relocate the club to a commercial location. _____Individual General membership - $10.00 donation. _____Family General membership -up to six family members - $30.00 donation or $3.00 per person after 6 members. The donation for our Saturday fund raiser is $20 for members for six classes of racing or $6 per class entered for members and $8.00 for non members. The donation for Saturday Nights fund raiser is $15 for members for all five classes of racing or $5 per class entered for members and $7.00 per class for non members. Last edited by parocket; 03-03-2015, 07:34 AM. 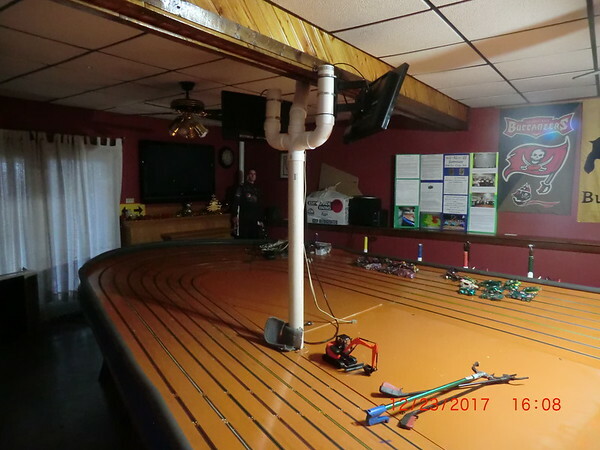 Awareness Speedway’s track was spray glued for our creek view challenge. We had five racers in the pits tonight for a fun filled night of racing. First up were the 360 sprints, which was a fast fun filled race with the race actually coming down to how often you crashed and lost laps. Up next were the mighty modified’s. This race was very fast paced with many segment racers racing as hard as they could and running side by side. This race came down to how often you crashed which tonight was a common thing and lost laps. Tonight must have been off night do to the amount of crashes that took place. Up next were the midgets, which were not a handful tonight, all racers learned from the last race to feather their car and loosen the car up with some subtle adjustments. The racing was very good and close. Up next was the Old Time Modified this was the first time we have run this class in almost a year. The racing was very intense considering it was a class we do not run that much. The Super Sportsmen were Postponed do to curfew. This race will be made up at our July 25th race. This class is our newest car to be created at ASSCC. ASSCC would like to thank our first time racer Jeff Furlong and all the other racers who raced with us. *Contact track to arrange practice time. 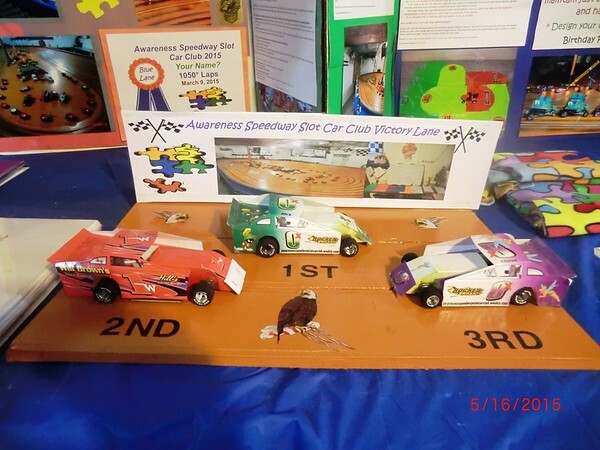 Awareness Speedways special friends program is moving forward with tremendous results. 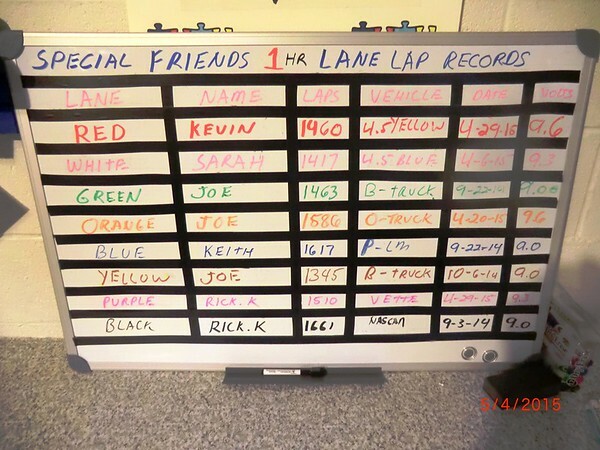 Our special friends have excelled at beating their lap records almost every time they run on the track. ASSCC keeps rotating cars until we find a car that our special friends excel with while coaching and mentoring our special friends. While everyone is having fun while chasing the lap record for their lane. We are going to start advancing the voltage to challenge our special friends to continue to set lap records. This will force our clients to adjust to the change presented, in the slot car being faster, handle different and the controller responding quicker do to higher voltage. ASSCC has other unique programs for special needs adults and children. •	Most importantly, every one looks forward to getting together with the staff of ASSCC to feel like family while having fun as an individual or in a group setting. Every person deserves a place of acceptance. Every person deserves a place to play and learn a new skill. Every person deserves a place to win and achieve goals. Every person deserves to be treated with respect. Every person deserves a place to be accepted just as they are. 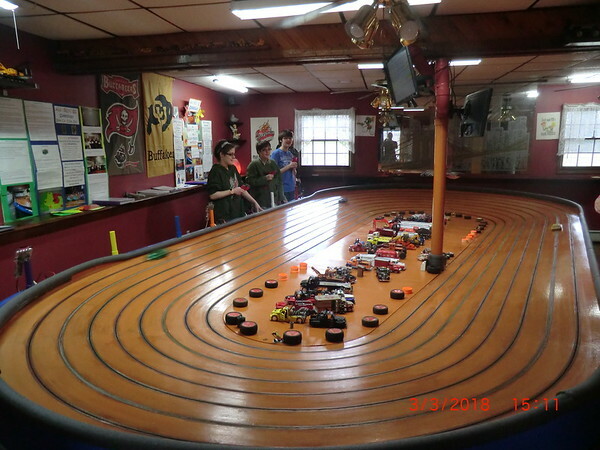 Awareness Speedway Slot Car Club wishes our supporters a very happy holiday season and a Merry Christmas. ASSCC track is in our new location in Newport, Pa.. The owners of the track and new location are in the process of doing electrical upgrades for the track and equipment. Our goal is to be back up and offering our special friends program early in 2018. Please keep us in your positive thoughts and prayers to have our re-setup upgrades go very smooth. 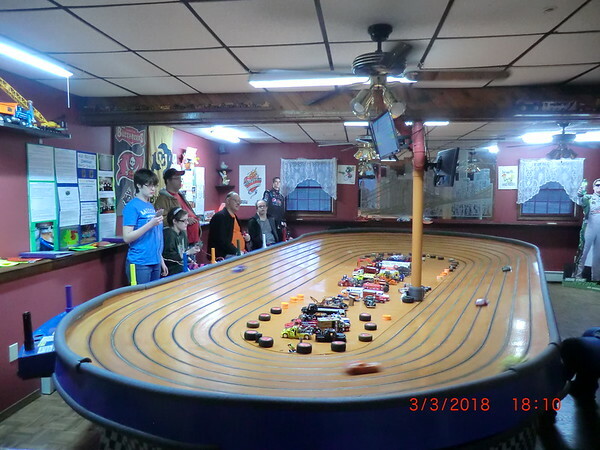 Awareness Speedway Slot Car Clubs board of directors would like to announce changes for 2018 and forward. ASSCC will no longer promote or sanction any competitive racing. We will host outside series, clubs, benefit events, track owner races at our facility for a donation to ASSCC. 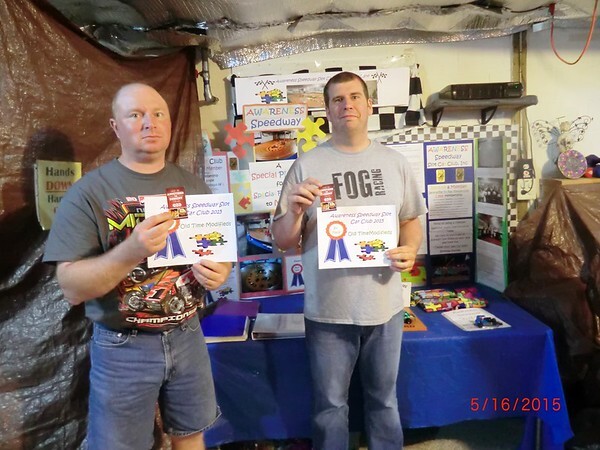 Awareness Speedways special friends program was moving forward with tremendous results. Our special friends have excelled at beating their lap record of accomplishment almost every time they run on the track. Everyone was having fun chasing the lap record of accomplishment for his or her lane. We advanced the voltage to challenge our special friends to continue to set lap records of accomplishment. This has forced our clients to adjust to the change presented, slot car being faster, handling different and the controller responding quicker do to higher voltage. 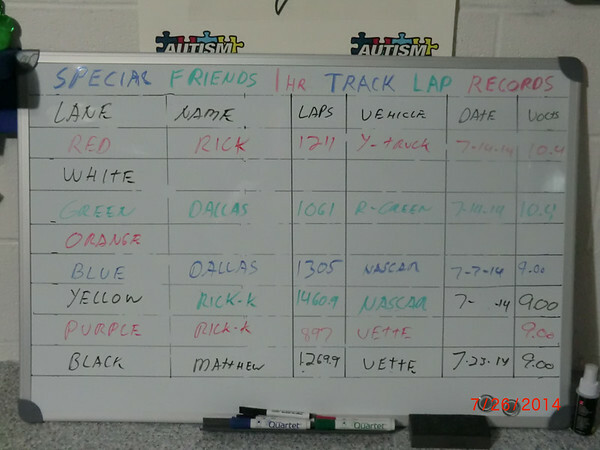 We had to temporary stop our special friends program at the track in late 2015. We are still accepting your tax deductible contributions to help ease the financial burden of setting our club back up and purchasing some new equipment for our special friends program. Our open house was a huge success.